It’s a common complaint amongst scientists and engineers. The general media regularly garbles space stories or blows them totally out of proportion. I can understand the frustrations of these experts, who work meticulously to produce truth and accuracy in their work. It’s also true that the media are often inept or downright outrageous in the way they distort the results of scientific toil. Yes, much of it is wrong, and it should be better. But let’s consider the silver lining to this cloud. We are currently going through a minor boom in reportage on space science and spaceflight in the general media. The overall results of this coverage will be beneficial. 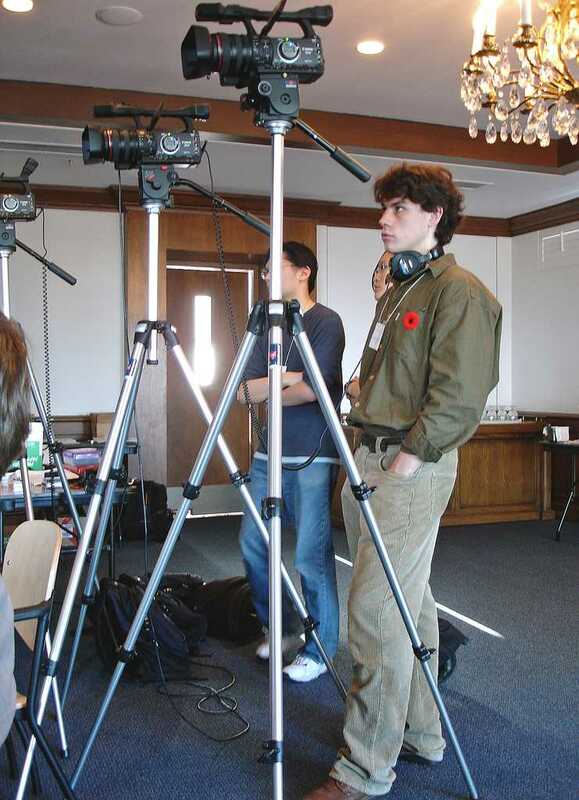 For every conference talk captured on film, how many make it to credible media coverage? Perhaps enough. (Credits: Alfred Hermida http://bit.ly/1dH58jM). Let’s map out how this process works. Scientists and engineers produce their good work. Next, a media or public affairs officer meets with them or simply reads their publications. Media releases are produced. It’s at this stage that things start to go right and wrong. Media officers are like sales representatives, charged with the task of promoting the work of their institutions and attracting as much attention as possible. Knowing how to bait the media, they often embellish the raw results of their boffins with hype and sometimes a little too much exaggeration. Noise is added to the signal by media officers who lack an understanding of the scientific or technical subject they are communicating. In today’s highly diversified scientific environment, it is difficult for almost anyone to be a master of all the disciplines. The media release is “spoonfed” to the media through contacts with journalists and editors. This is manna from heaven for many journalists, who can simply reprint material that’s been handed to them, with a little reshuffling of the words. It’s simple and easy. The journalist may not even understand anything about the subject or the story! Next, the story appears in the media and reaches the public. It can spread virally through electronic media and online social media. Suddenly, a project developed for years in near-obscurity is known to millions. Scientists and well-informed readers may cringe at yet another report of the discovery of water on Mars or an exoplanet that probably harbors life. Such reportage reflects conventional hype, ignorance of previous discoveries, or wishful thinking. It’s also probably a little embarrassing for the scientists behind the discovery, who find their claims distorted beyond their own legitimate (and more modest) results. 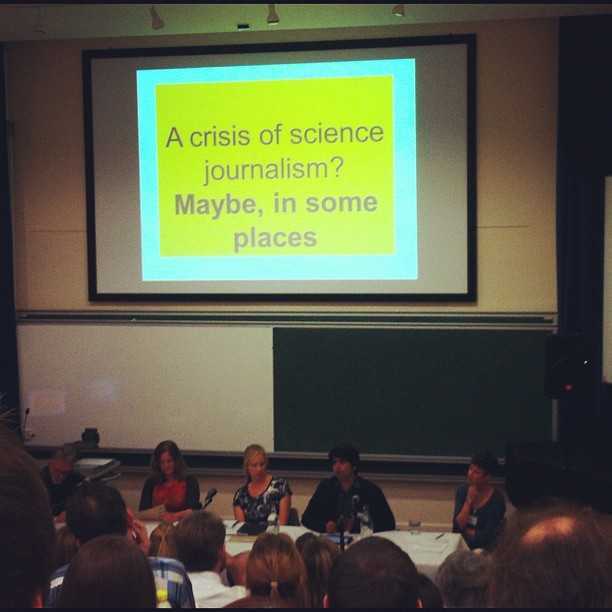 While the question of a crisis in science journalism arises each Science Communication Conference, there may be no need to worry just yet (Credits: Keatl http://bit.ly/1i8ZiII). With media distortions like this becoming so common, why should we be happy? A pragmatic approach is necessary to answer this question. At the most mundane level, it’s better than nothing. Most scientific discoveries are invisible to the public. The media never reports them or knows about them. There is usually more that is right than wrong in most of the reportage. As long as most of the basic details of the discoveries or the project are reported fairly well, people should be happy. Scientists should understand that the treatment they receive from the media is no worse than that of other occupations and industries. There is distortion on other specialist subjects. Some are ignored entirely. Some are treated with outright hostility. The media seems to be warming to the fact that space scientists are doing some interesting work that’s worth their notice. They have framed these scientists as heroes instead of villains. This is a blessing at a time where the media, and the public, are increasingly cynical about governments, institutions and the overall state of the world. There are also some highly concrete benefits that will hopefully manifest from this surge of reportage. The media is placing spaceflight and space science on the public agenda. People are aware of it and are interested in it. Lawmakers and government officials will also notice this coverage. It serves as a slight but not insignificant shield against some budgetary cuts. Right now, the space community is witnessing a horrifying cull of funding for everything from big interplanetary spacecraft to mundane scientific conferences. This is having a profound effect on space science and the very livelihoods of the people who work in the space community. We need all the friends we can get to keep ourselves from taking any further blows. For all their problems, we need to understand that the media are our friends. They like spaceflight and space science. They are raising our profile in the short term, and setting up some potential benefits in the long term. Any news on space is good news in more ways that most people would immediately realize. Nice piece Dr Jones! Here in the u.k. it is a minor miracle for any intelligent space news to get on tv, and it is highly selective what seems to get into the newspapers. Still this may change with the selection of major tim peake as a UK esa astronaut.